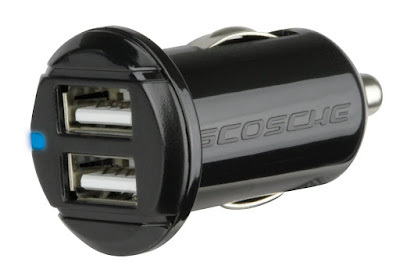 Tiny and efficient, the Scosche reVolt Dual 202M USB car charger comes with two 10 Watt USB ports for you to charge your iPad and iPhone at the same time. Although the product description states that it is for Apple products like the iPhone and iPad, rest assured that it will also work for Android phones and tablets as well as Kindles. 88% of customers have given the reVolt Dual 202M either a 4 or 5 star rating on Amazon, with most highlighting it's charging speed, reliability and durability. 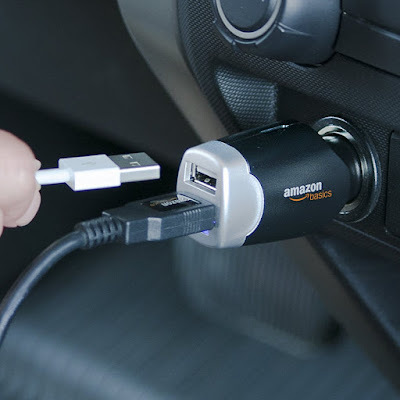 The AmazonBasics Dual USB Car Charger has two ports allowing for simultaneous 10W / 2A charging per port. This charger works with almost any device, whether Apple or Android, that allows for USB charging. Although, as with the Scosche reVolt Dual 202M above, if you're charging non-Apple devices, be sure to use a charge-only cable for optimum performance. 84% of customers have given the AmazonBasics Dual USB Car Charger either a 4 or 5 star rating on Amazon. Many of the comments have focused on it's value and the fact that it gets the job done. Overall, if you're not too fussed about the aesthetics, this is a good value-buy. 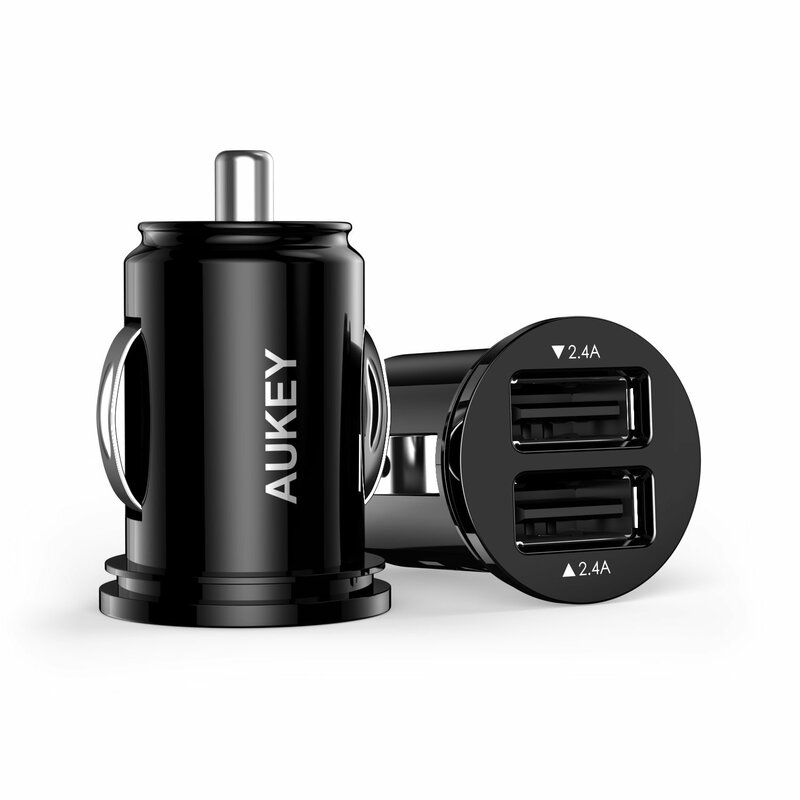 The Aukey CC-S1 USB Car Charger, at 12W/2.4A per USB port, is one of the more powerful car USB chargers out in the market today. It's AiPower Adaptive Charging Technology detects the input current of the connected devices to maximize both compatibility and charging speed up to 2.4 amps each port or 4.8 amps overall. What this means, is that unlike the Scosche reVolt Dual 202M or the AmazonBasics Dual USB Car Charger, there is no need to use a separate charge-only cable for non-Apple products. 86% of customers have given the Aukey CC-S1 a 5 or 4 star rating, highlighting the fact that it's a fast charger and has a compact design. 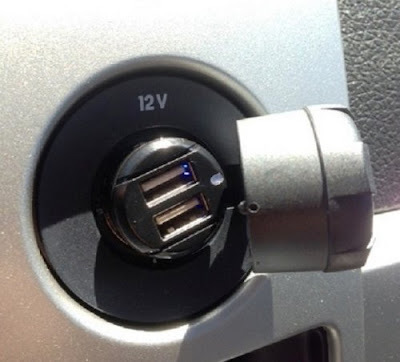 The previous USB Car Chargers we covered all had only 2 USB ports. Most of the time, this would be enough as you can take turns to charge your phone or iPad. However, if you're going on an extra long road trip with 4 or more people, then 2 USB ports may not be enough. This is where a 4-port USB Car Charger like Anker's comes in handy. It's 48 watts of power lets you charge up to four tablets, smartphones or other devices at full speed simultaneously. No need for a charge-only cable like less powerful devices. 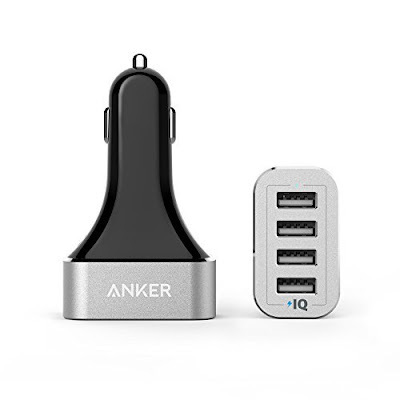 An amazing 95% of customers have given the Anker 9.6A / 48W 4-Port USB Car Charger either a 4 or 5 star rating on Amazon with reviews focusing on it's fast charging and reliability. 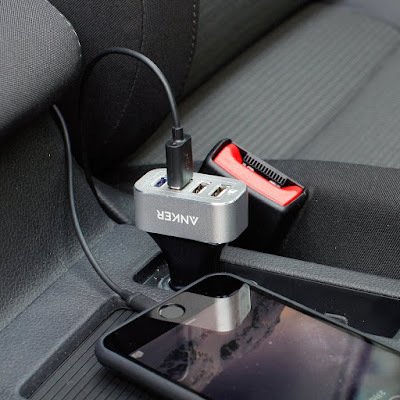 It's time to prepare for the summer driving season and you can't go too wrong with any of the USB car charger picks listed above. Customer reviews tend to be quite indicative of product quality and rest assured, all the devices listed have pretty high ratings (4.3 and above). Given that the price difference is only $10 between the more basic car charger from Amazon and the more advanced models, I'd definitely recommend getting the Aukey CC-S1 / reVolt Dual 202M instead. In full disclosure, there are affiliate links to Amazon in the article above. They help tremendously in keeping the site alive and we'd like to thank all our readers for their help. Much appreciated!